Pocket City ($3.99) is a game we’ve covered multiple times and one that I’ve been super excited to play. When it finally released, I got addicted to it. It has satisfied my Cities: Skylines itch on iOS for a while now. It has been getting fixes and updates on a regular basis since launch optimising the game for newer and older devices in addition to new content. Today’s update is a big one with new content, UI improvements, more sandbox options, and a whole lot more. 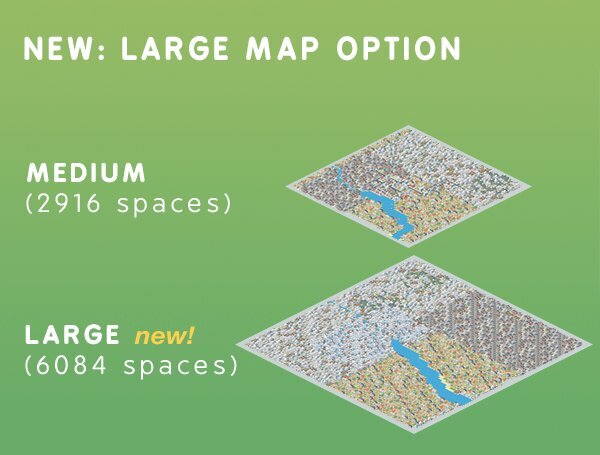 The biggest addition is the option for larger cities. The relaxing sandbox mode now has an option to play with everything unlocked but not unlimited cash. I’ve been wanting this since launch. The Zoo is a new structure that has its own quest. Higher level buildings now cost more. As with all updates, bug fixes and performance improvements are also implemented and while most games usually just mention these for filling up patch notes, Pocket City has been getting consistently better. The update is available for free on iOS and Android devices. Pocket City is available on iOS and Android right now and you can read our review for it here. If you’ve ever wanted a proper Sim City experience on mobile, this is it and much more for me. We featured it as our Game of the Week for a reason.